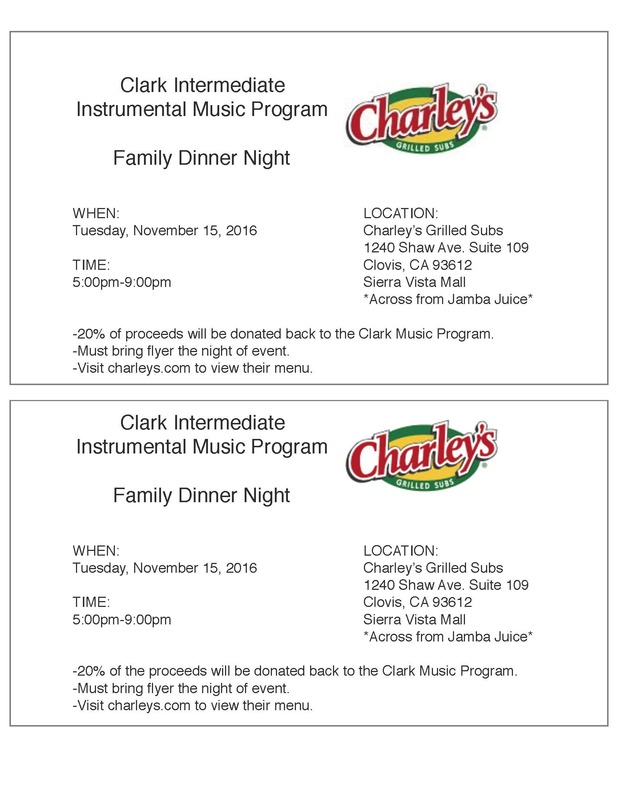 Our next family dinner night will be at Charley’s Grilled Subs on November 15th. Charley’s is located in the Sierra Vista Mall by Panera Bread and Dickey’s BBQ. 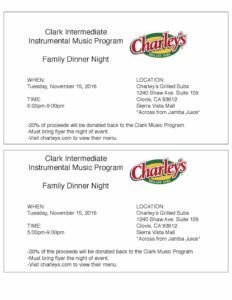 Click the following link for the event flyer family-dinner-charleys-subs-11-15-16-flyer. Present flyer at point of purchase and a portion of what you spend will come back to the Clark Music Program.